A "Hall of Fame" Hillsdale Supporter! For the third year running, ATA Martial Arts is partnering with us to help support the Hillsdale school community! Their generous support helps the PTO in our mission to provide Hillsdale students and teachers with programs, supplies, financial aid, field trips, assemblies, and more! 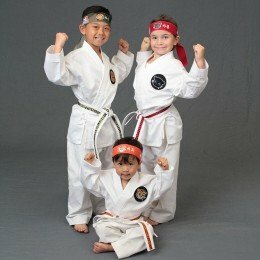 ATA offers martial arts training for the whole family, with many options to meet your busy schedule!